This high quality raw wire comes in a satin finish which buffs up a bright finish. The SOFT Aluminum Wire bends easily especially the thinner wire. It is the softest wire of all of our wires. 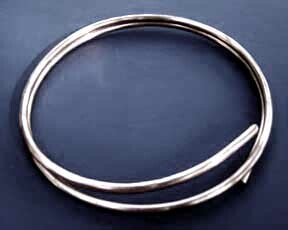 The Medium Stiff Aluminum Wire below bends less easily & holds its shape better. About the thickness of a standard paper clip. It has a slightly grey-pewter color & a dull surface due to its Recycled Content. 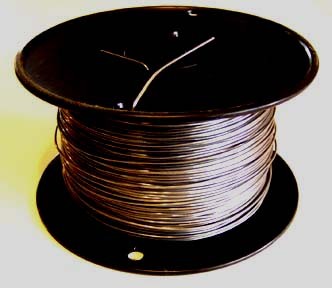 Suitable for armatures -it will not polish up as bright as our other wire. Shipping is $8 per 100 ft. Medium Stiff wire is a stiffer than our soft wire, when bent it is springy & holds its shape- This is also known as "Half Hard" Wire. This wire has a dull satin finish. They are bendable by hand, though the thicker 9 gauge takes more force to bend, all are great for armatures.This wire is springy- use caution when opening coils. The 12 and 16 gauge wire has a dull gray pewter color due to its recycled content & will not polish up as shiny as our other wire. The 9 and 10 are brighter and they make great coat hangers, wings, and armatures. Best to order samples if in doubt so as to get the right thickness for a project. 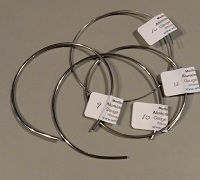 Length of samples are listed individually next to each gauge sample above. Photo does not show size of samples shipped. 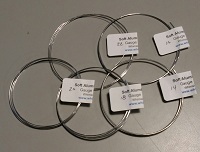 Length of samples are listed individually on our page: ALUMINUM WIRE .Photo does not show lengths shipped. *Gauge Lines above show approximate gauge thickness for wire for comparison and may not appear correctly on all screens.Our metals are sold only for decorative craft work; They are not tested nor certified safe for electrical nor electronic uses, nor home construction nor internal consumption, and they are not certified for food service. 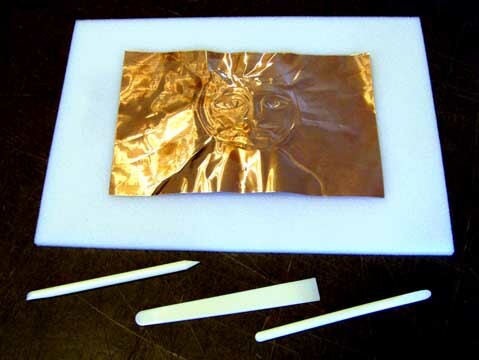 These metals may have sharp edges and are not for use by children.Samples are listed with approximate sizes and may vary slightly larger or smaller. Samples are non retunable. Prices and shipping is for USA delivery only. Prices subject to change without notice: good for only up to 10 days after page date above. 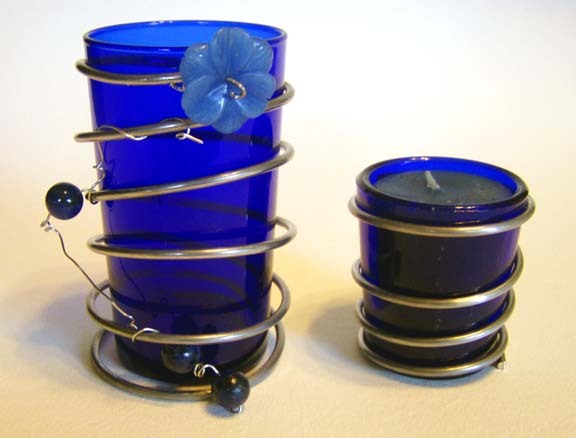 For Craft: Available below through our online catalog. 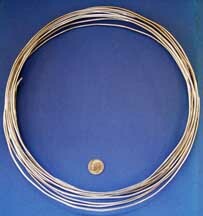 This round aluminum craft wire is light weight & inexpensive: ideal for Craft, Sculptures, Jewelry, Wire wrapping, Fabrication, Art & Armatures. This high quality raw wire comes in a satin finish which buffs up to bright. 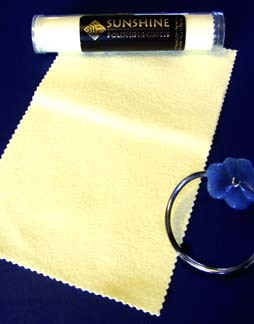 See our Quick Polishing jewelry cloth Aluminum resists tarnishing more than copper or silver. 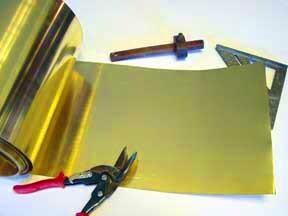 Aluminum is difficult to solder, but it can easily be joined with adhesives. Our solid metal wire is not plated to make it look bright temporarily but plating wears off over time. 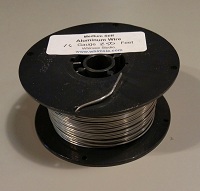 The Soft Aluminum Wire bends very easily especially the thinner wire. The Medium Stiff Aluminum Wire bends less easily & holds its shape better. 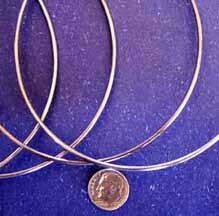 Thin wire works well for jewelry & fine craft. Thick is often used sculptures & armatures. Thicker wire is stiffer than thin. Aluminum does not solder easily and special equipment is needed, but it can easily be joined with adhesives such as liquid nails, super glue, and a metallic glue called liquid solder. Test on a sample before ordering a large amount to make sure it will behave as needed. The Gauge chart picture may not appear correctly on some computer screens due to different screen resolutions and page size settings. We urge ordering a sample to see exact thickness and to get a feel of a wire. Nothing beats hands on experience . 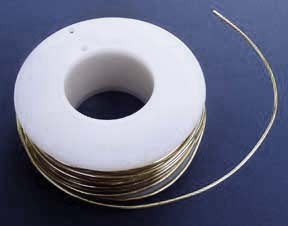 Each coil or spool individual a separate single length. 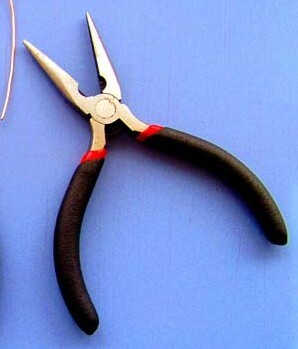 CAUTION: Raw craft wire may have sharp ends. 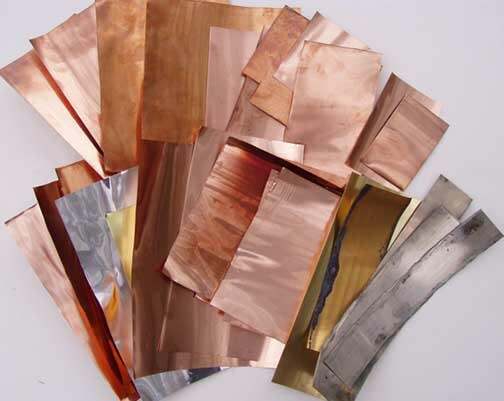 Different metals have different properties we suggest ordering samples to see what works best. 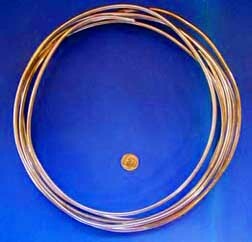 Soft wire: This wire is the softest in the metal choice it is easy to bend and work. HOWEVER: Our SOFT copper, brass & nickel wire is a bit stiffer than aluminum. 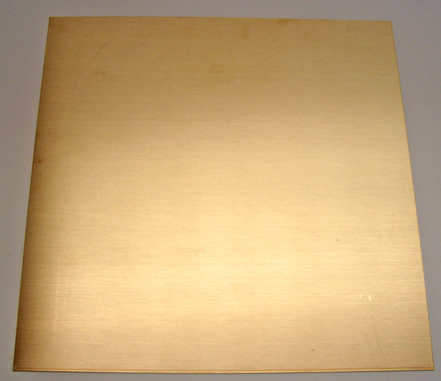 This is due to the natural properties of these metals. There is no way around it if you want these real metals. 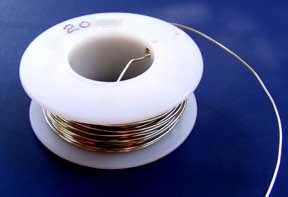 We do not offer fake wire: Wire that is coated to look like another because they do not last and often get marred when working with. In addition they are not strong wire and cannot be soldered. 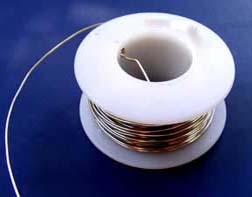 You can paint our aluminum wire to look like brass or copper after making something from it to have a very soft wire that looks like something else. 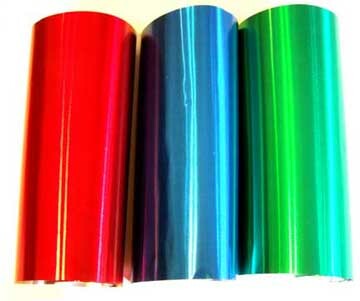 Automotive paint departments often have all these choices. 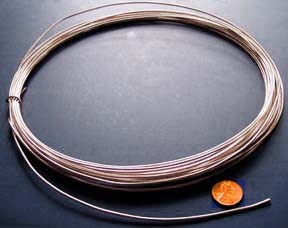 Medium Stiff wire: is made to bend (but less easily) and hold its shape better. 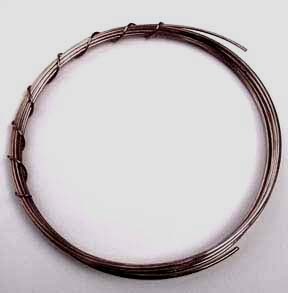 Wire can be work hardened by bending back and forth or by hammering it to make it flatter and stiffer. It will also be more springy. Metal can also be hardened by heating to glowing red hot and dousing in ice water repeatedly. Bending wire:All our wire can be bent by hand - within reason. 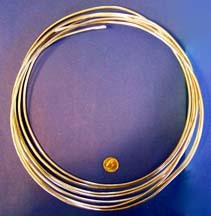 A thick 6 gauge wire will not bend around a 1/4 inch rod. It also depends on the users hand strength.This is why we urge ordering samples to see what works for you. Once a wire is bent it becomes more hard and will be more difficult to bend again. 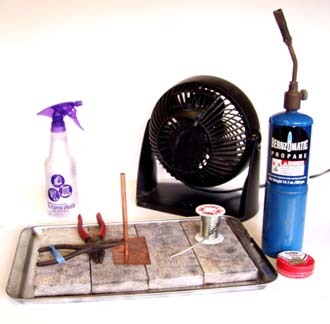 A metal can be softened when working with it by annealing it: Heating it with a torch to glowing red hot and allowing it to cool slowly. It cannot be both ways these are opposites; some effort is required for this result. Yet this is the most commonly asked question of us. While when a wire is bent it becomes more hard and will be more difficult to bend again, Soft wire will remain relatively soft. Metal can also be hardened by heating to glowing red hot and dousing in ice water repeatedly. 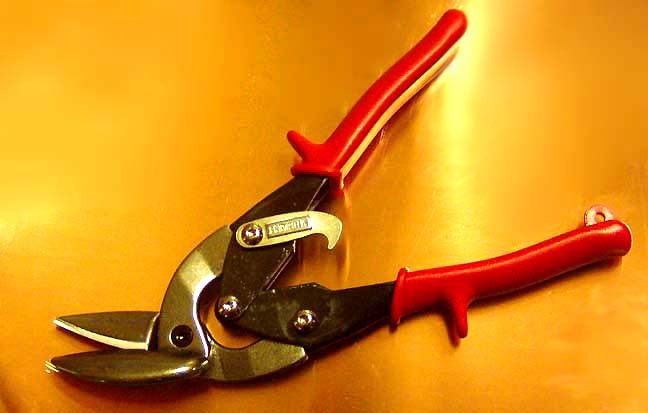 Wire can be work hardened by bending back and forth or by hammering it to make it flatter and stiffer. It will also be more springy. We suggest trying our medium stiff wires. Medium stiff wire will be harder to bend and will hold its shape better. Again we urge ordering samples or small amounts to get hands on experience and to see if it will work for an intended project. This is how we taught ourselves over the last 30 years. There is no way in words that this can be related, not by e mail and not by phone conversations. 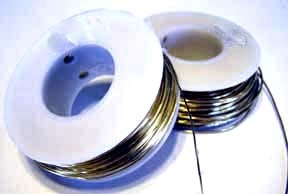 We no longer accept returns of wire if a sample has not been ordered first. Bulk Metal : Our cut to length bulk metals for the crafts person provides what is needed at a good value. Our cuts are generously long & approximately square. Metal by the running foot or yard is shipped in one length whenever possible. We use this metal to craft our own creations. Grades: These solid metals are of an especially pure high grade for fine craft work. All of It is solderable. It is not to be used for electrical work. New Craft Metal has a bright rolled satin finish. It may have some very slight manufacturing ripples, scratches & color variations. 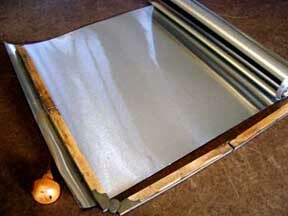 Reclaimed -Recycled metal: This unused older metal has scratches, finger prints, ripples and/or dents. Some is shiny and and some has patina from age. It is all very usable at a good price. We use this metal in our own creations. Gauges or Thickness: The lower the gauge number the thicker the metal. For example 6 gauge aluminum wire is the thickest and 20 gauge aluminum craft wire is thin. See below for gauge charts. This craft metal is approximately the gages indicated. Soft is pliable yet holds up for folding and hammering. Thicker metal bends less easily than thin. The more a metal is worked the stiffer it gets. CAUTION :HANDLE WITH CARE , Raw metals have sharp edges. Rolls and coils are tightly wound and may spring open. They are not for use by children . Gauge thickness shown is approximate.Our metals are sold only for craft work; and they are not tested nor certified safe for electrical nor electronic uses, nor home construction nor internal consumption, and they are not certified for food service. 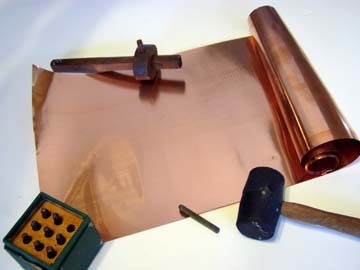 These metals may have sharp edges and are not for use by children. Old prices from old versions of our web site will not be honored. (c) Copyright 2008- 2010 -All Rights Reserved the Whimsie Studio. Larry Henke & Ronald Bodoh, Bodoh Quartz Inc.